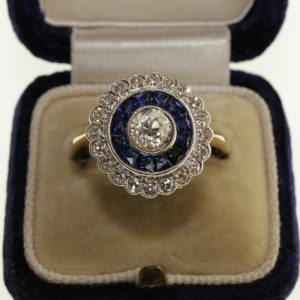 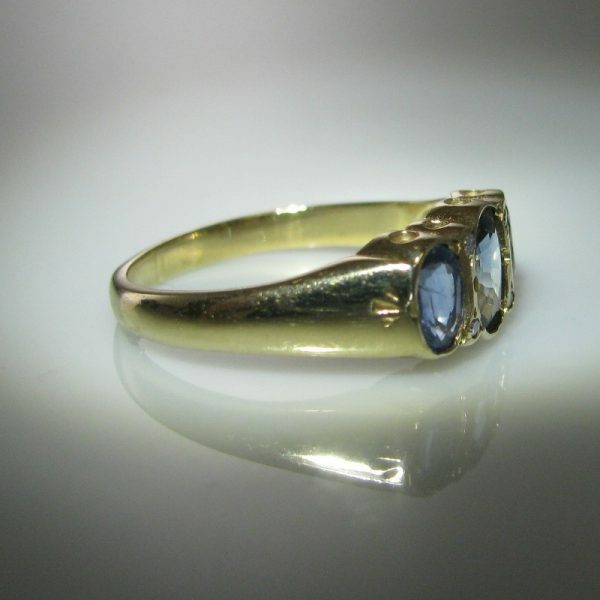 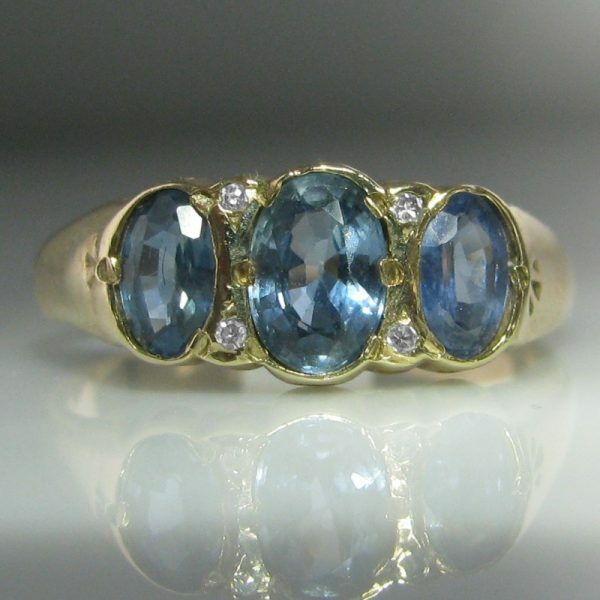 Sapphire and Diamond ring set in 9k Gold. 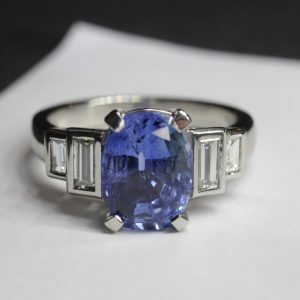 The three oval sapphires are divided by four sparkling round diamonds. 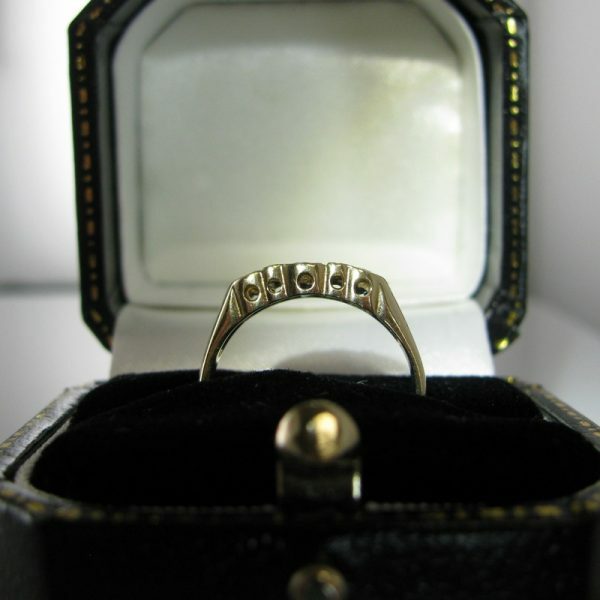 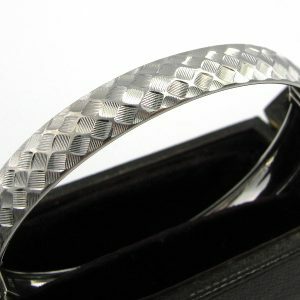 The ring has a decorative open work detail to the sides. 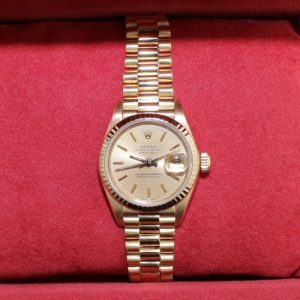 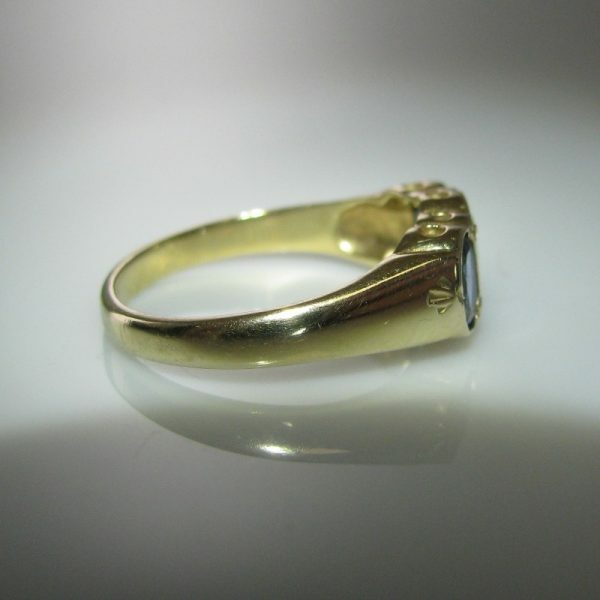 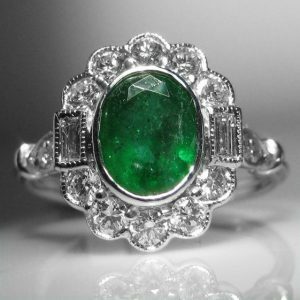 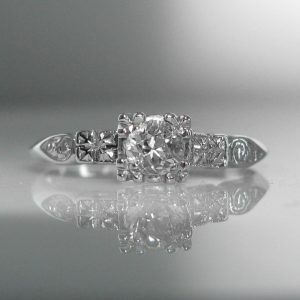 The ring is currently size L but can be resized up or down, free of charge, as required by you.